A day after the European Union (EU) sought to join the US to scupper the paradigm for emission control defined under the Kyoto Protocol, India’s environment minister Jairam Ramesh became probably the first politician to signal that a deal in December at Copenhagen was unlikely and that it would require another meeting “next summer". The Indian environment minister did not mince words when he said that the “negotiations have broken down" and that the reversal had “cast a long shadow" on climate change talks. For further measure, he added that a deal was not possible “if the basic architecture of (the) Kyoto (Protocol) was not preserved". Ramesh was delivering the keynote address on Saturday at the conference, From Kyoto to Copenhagen, hosted by Project Syndicate in Copenhagen. The Kyoto Protocol is an international agreement, which the US has not signed, that aims to limit emissions of greenhouse gases to prevent global warming and climate change. It would be tempting to dismiss Ramesh’s remarks as being the typically confrontationist and provocative position that India is known to adopt at any global multilateral forum. Not really, especially if viewed in the context in which he made the claim. It is much more. It is the articulation of an entirely new ideological stance for India at the climate change negotiations. The assessment came after Ramesh developed a case for India as a “deal maker", even while underlining that the country was as vulnerable as the least developed countries such as the Maldives and Bangladesh to the adverse effects of climate change. He chose to define this new position as the “per capita plus" approach—a refinement of the country’s earlier stand. Until now India, along with other developing countries, has argued that mitigation efforts should be in proportion to a country’s historical record of emissions on per capita terms. According to this measure, vehemently opposed by the US and other developed nations, India is way below the worst polluters; hence the argument that developed countries have to make substantive emission cuts and finance expensive technology required by developing countries towards mitigation efforts in curbing emissions. Ramesh told the conference that not only has India placed a “self-imposed" cap of per capita emissions—by committing that it will never exceed the levels attained by developed countries—the country is now moving to take on “mitigation efforts voluntarily". This, he said, will be captured in the new legislation that the Congress-led United Progressive Alliance (UPA) has readied and proposed to put out in the next fortnight for public discussion. Something that Ramesh chose to describe as Namos (Nationally Appropriate Mitigation Outcomes). The law will essentially make the UPA and all future governments accountable to Parliament on being able to maintain the emission standards—on fuel efficiency, building codes, renewable energy sources such as wind and solar power, use of clean coal in 50% of coal-based power projects, and so on. It would, as he said, be similar to the Fiscal Responsibility and Budget Management Act that commits the government to subscribe to pre-specified fiscal norms with any variation requiring the consent of Parliament. Ramesh also sought to further revisit India’s existing stand by offering to open up the country’s mitigation actions for an external audit. So far, India has argued that it was willing to permit international monitoring of climate change mitigation projects that are funded out of overseas sources. At Copenhagen, Ramesh said India was willing to conditionally extend this to even domestically funded projects. Drawing parallels to the Article IV deliberations, wherein a team from the International Monetary Fund undertakes an annual fiscal audit of the country, Ramesh said India was open to a similar annual review under the auspices of the United Nations. 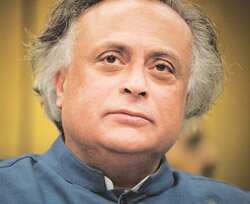 By diluting India’s stand on two key criticisms levelled against it, Ramesh has put the ball squarely in the court of developed countries, as it were. Whether it will add up to something positive we will have to wait and see; developed countries are notorious for moving the goalposts constantly. More importantly, Ramesh has signalled a dramatic change by India in its approach to global negotiations. It is probably borne out of a new thinking in the government that India has more to gain from global multilateral deals today than ever before. As a trillion-dollar economy, it is desperately seeking to break the shackles to realize its growth potential—considered key in tackling shockingly high poverty levels. Since it is not part of any of the significant trading/economic blocs and is used to looking in from the outside, India obviously has higher stakes in a multilateral deal. Ramesh, in his own style, summed it up best when he said, “We (India) have to learn to conduct bilateral dialogue and negotiate multilaterally. That is what I call walking on two legs."